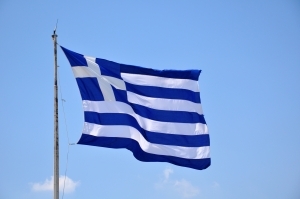 Greece's default looms large and Bankia teeters. Meanwhile, France attempts to edge away from the abyss. Greece still shows no sign of escaping its political paralysis. Interim Prime Minister, high court judge Panagiotis Pikrammenos, was sworn in yesterday but he is little more than a talking head. All political power has been stripped from the role as the country gears up to return to the polls yet again. Alas for the country credited with inventing democracy, elections have become something of a farce. The last attempt on May 6 ended in controversy and indecision. It’s become less of a case of ‘if’ Greece will leave the single currency, more ‘when’. IMF chief Christine Lagarde has made it very clear that preparations for the default are already being made: ‘If [Greece's] budgetary commitments are not honoured, there needs to be appropriate revisions, which means either supplementary financing and additional time, or mechanisms for an exit, which in this case must be orderly.’ Wishful thinking, Christine? Some €800m has been withdrawn from Greek cash points in the last 24 hours. But what will happen if Greece defaults? The truth is that nobody knows. Among the worst hit will be the European Central Bank, IMF and fellow eurozone nations, which currently hold around €200bn of Greece’s debt. The ECB alone is €38bn in the red. But that’s not all; the Grexit could trigger a chain reaction in other recession-hit nations. Spain and Italy are the most vulnerable to the Greek fall-out at the moment. Borrowing costs for both countries have risen astronomically this week as investors become increasingly skittish about the bloc’s recovery. Spanish Bankia had to be bailed out earlier this month and reports of a run on the bank are spreading: €1bn in savings has been withdrawn since the part-nationalisation. The share price has plummeted 25% this morning. And while Spain managed to raise €2.5bn (£2bn) through several bond auctions, it had to pay an interest rate of 4.373%, up from 2.89% in April. A bargain when compared to the interest rate on debt maturing in April 2016: Spain will have to cough up 5.106% in interest, adding billions to its bill. Depending on your point of view, Prime Minister David Cameron has either been trying to gee up the German and French governments in recent days, or has been pouring petrol on the flames. Earlier this week, economists suggested that a messy end to the single currency would drag the UK into a ten-year depression: UK's pre-eminant back-seat driver has been getting up German and French noses about it ever since. But, as with his previous interventions, Dave has made little impact. France is already trying to distance itself from the crisis, refusing to ratify the EU fiscal pact. New President Francois Hollande is making a lot of noise about his growth over austerity focus; he does not want to keep throwing more French euros in the eurozone fires. If that kind of economic separatism spreads, the euro is doomed. The eurozone leaders are to meet next week for an emergency summit. The question is: after two years of all talk and no trousers, will there be a single currency left to protect by the time the politicians get around to making a decision?